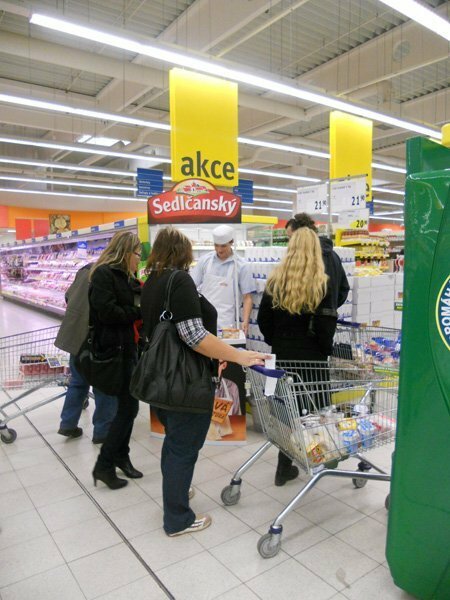 Our client Povltavské creamery asked us for several nice man-promoters for their new products promotion. Four kinds of Camembert-type cheese were presented at stands at superstores by our well-built promoters. The superstores customers were enthused by great Povltavský products and made use of the opprotunity of trying both well-known types of cheese and also Sedlčanský freshman – cheese with dried tomatoes and basil. 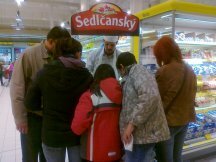 „What can we do when there is no Sedlčanský cheese on shelves – some kinds of the cheese are already sold?“ was heard from field on the second day of the promotion. 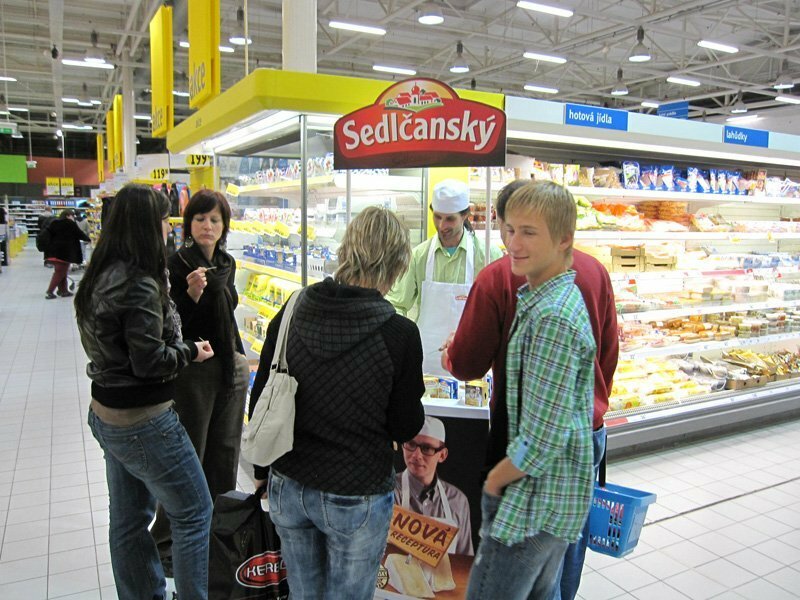 Sedlčanský cheese is simply tasty and disappear from shelves quickly while well promoted.